A huge thank you to family & friends as we hit the road for Kidney March 2018! As we depart on this epic 100 KM adventure together, we want to thank you from the bottom of our hearts and souls. We created Kidney March to bring the kidney community together as never before … and it has! Thank you Marchers, Crew, sponsors, volunteers, and all of your loved ones supporting our Kidney March journey. We know that support will fuel you this weekend, and in your fight against kidney disease. Click here to see where friends, family and supporters can cheer on Marchers and Crew at Kidney March 2018. You have likely see inspiring stories of Marchers and Crew in the news. That’s what Kidney March is all about – putting kidney disease and organ donation on the map. Have fun sharing those stories, and your own Kidney March adventures on your social media networks. 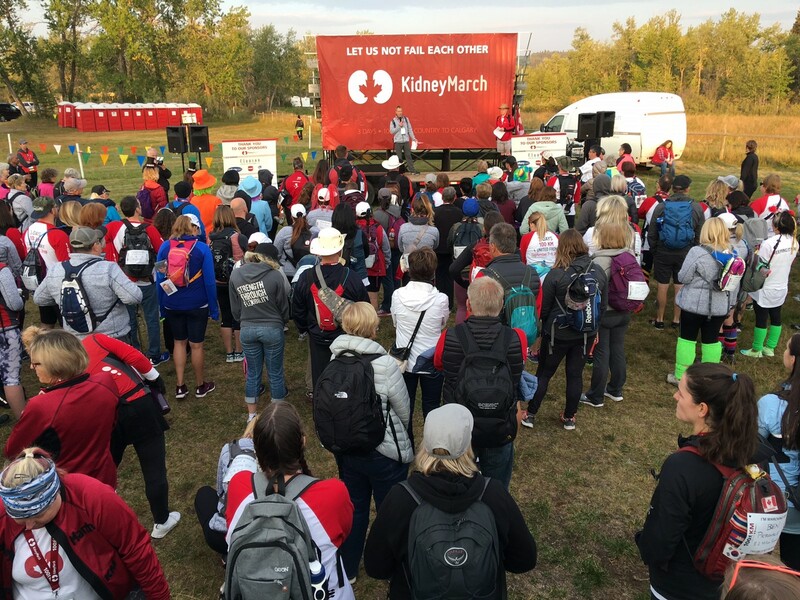 Visit @kidneymarch anytime on Facebook, Twitter and Instagram. It is thrilling to see the donations rolling in to fight kidney disease and promote organ donation. This website is open 24/7 throughout Kidney March. It is an honour and a whole lot of fun being in this wonderful Kidney March family … enjoy!